For the next event in the Mind to Mind series exploring the relationship between arts and wellbeing, join an afternoon workshop led by artist Sheila Ghelani. 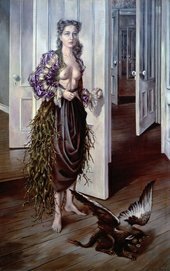 This session invites you to immerse yourself in the images and ideas present in Dorothea Tanning's work through group discussion, a visit to the exhibition and practical art based making activities. In a safe and friendly environment, this workshop will support and guide you to explore ideas of interior landscape, personal symbols and representations of the self. This event is curated for organisations working in the field of mental health and their service users. Sheila Ghelani is an artist whose work spans performance, installation, participatory event and moving image. She likes to cut things up, break things apart and mix things together. 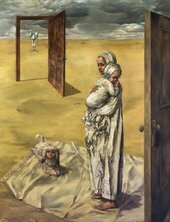 She is also very interested in the practice of medicine and care and the relationship between art and science with particular focus on hybridity.